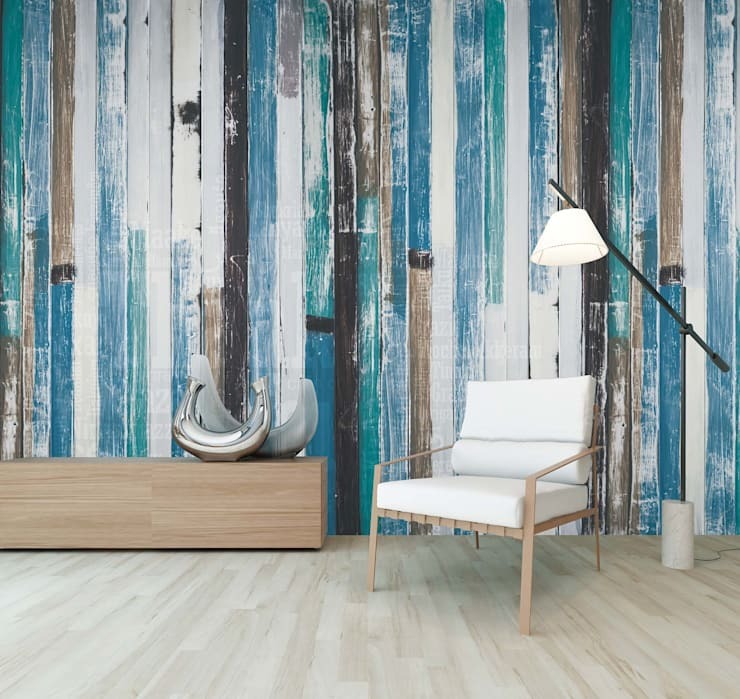 The polls are in: wood and timber are the trendiest, most cost effective and warmest ways to decorate your home or apartment. Timber goes with practically any colour scheme and is actually one of the most sustainable home materials, since it is renewable and processing wood has a much smaller impact on the environment than plastics. That's why we have whipped up a list of nine ideas for decorating with wood, from more elaborate DIY projects like walls to the smallest décor designs like napkin rings. Let’s get started! 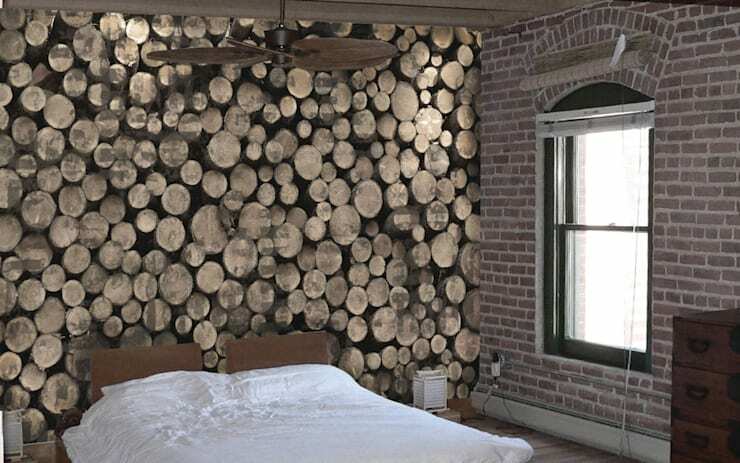 For a twist on the usual brick or plaster painted wall, cubby or niche wall space, try stacking timber logs instead, in just the same way you find firewood logs stacked on the sides of homes under a tarp. Just one thing: be sure, of course that the logs have been adequately sanded and cleaned before stacking them in, since they are for decoration, not use. 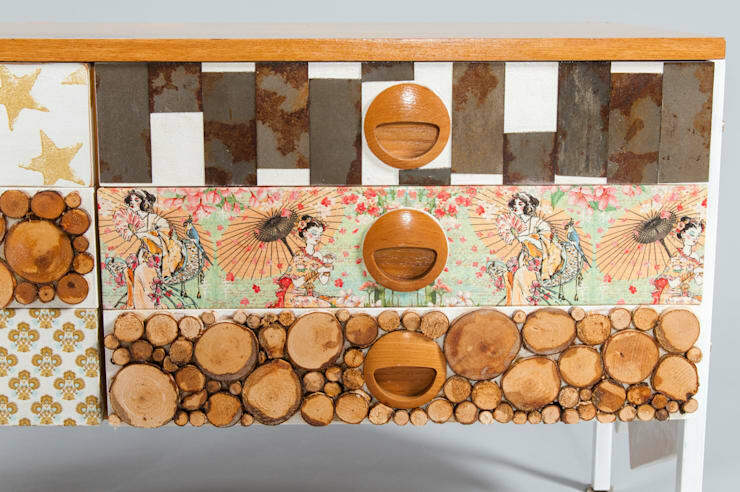 Get creative and carve any current wood furnishings, like a chair, side or coffee table or desk. Woodcarving is easier than it has ever been these days, with woodcarver’s tools and patterns available in most craft stores. 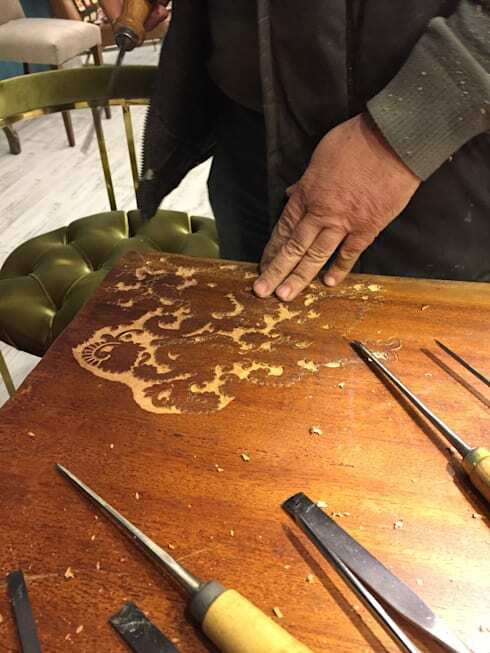 It is probably worth it to invest in a little how-to guide for woodcarving but it is worth it, because wood-carved furniture is splendidly decorous! The beaded curtain is no longer in, and we have moved on to much more sophisticated solutions for thin but charming partitions—in the form of finewoods, of course. 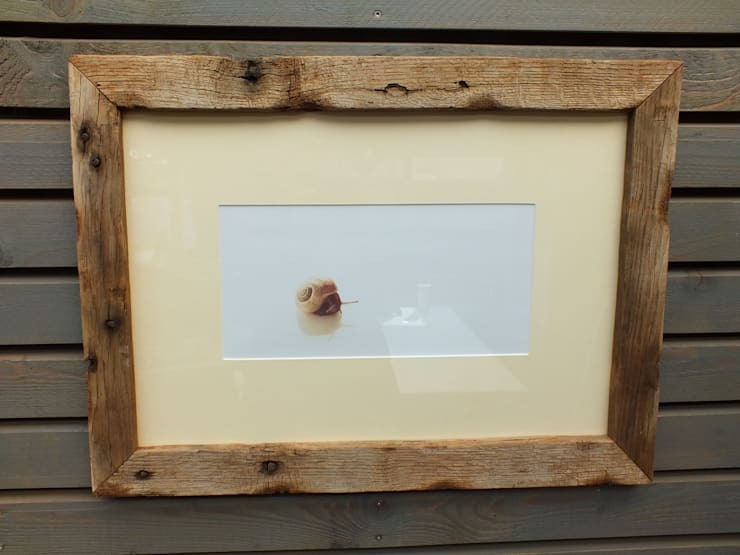 Buy one already made, as shown in this photo, or construct your own by buying sanded wood sheets, drilling holes in their corners and binding them together with metal string. Next, hang securely from the ceiling and presto, you have a cool new timber decoration, as useful as it is beautiful. One wood item that has too long been overlooked is the wooden stump. Finally, it has come on the scene and designers and carpenters are using them to build tons of things. Our favourite is the stump lamp, as pictured here. 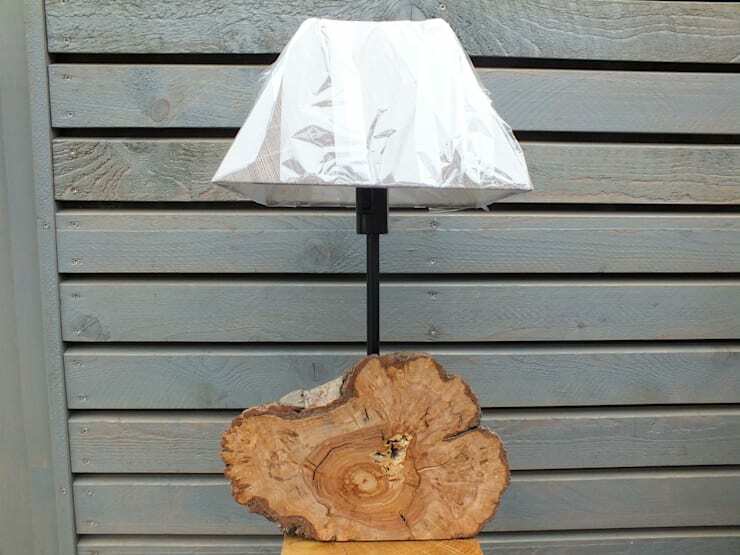 The design is simple—a cleaned, sanded and slightly polished tree stump fixed on a flat platform for balance, with a metal lamp neck and whatever lampshade you fancy, because wood matches pretty much anything. This wood solution is easy and inexpensive. Nab yourself five or ten wood photo frames—we love the less polished, distressed ones for a really warm and natural feel—pop your best pictures of family, friends and pets inside, then litter an entire wall space with them. If you do not already have much wood in your home, this will add a really homely vibe. The idea of wood bits is a real DIY method for sprucing up your space… .or pine or mahogany, whatever you prefer! First, buy some little wood figures—circles, squares. Take an old nightstand or side table, some wood glue and start gluing the bits, fashioning them into the pattern of your preference. Stripes, spirals or diamond designs—it is up to you! 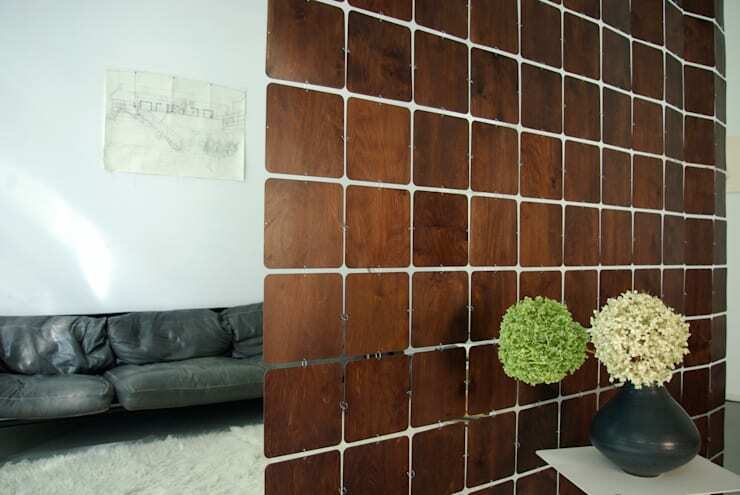 Unlike a mosaic of ceramic tiles, a wooden plank mosaic is one of straight, flat wood planks, either polished or not, painted with colour or not, which are placed in a vertical or horizontal position covering an entire wall, or just a part of one. The results vary depending on what you decide to do, but it is usually a full-proof decorative use of timber. 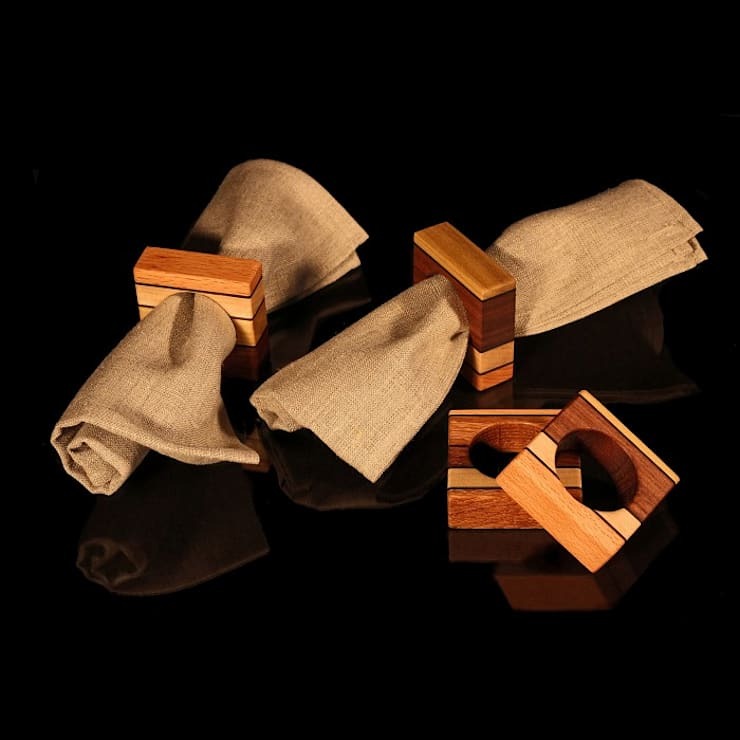 For those of you looking to decorate putting a little less effort in, we recommend some simple yet gorgeous wooden napkin holders that you can pop around your favourite coloured dinner linen and keep on the dining table, for a just a little pop of timber lustre. This last idea is treasured by those dwelling in colder climates, the delicate wooden radiator cover. 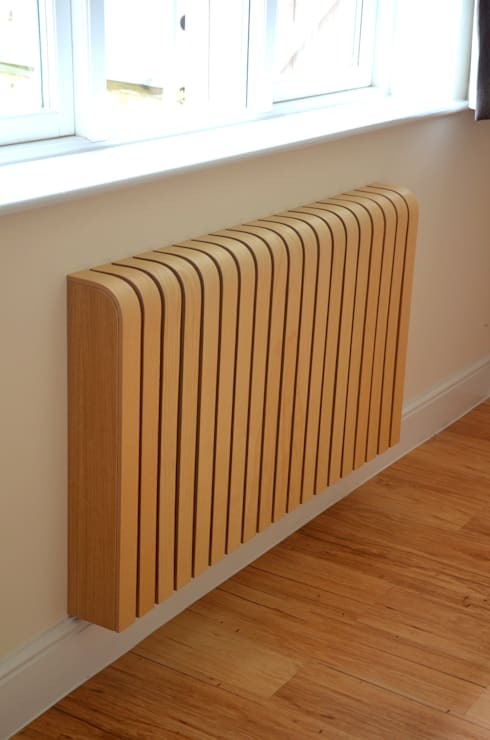 It is an innovative and pretty way to cover up radiators that have long outlived their original burnish, and which get too dirty too quickly when left uncovered. We do recommend seeking some professional help for this one though, since building it wrong could make it a fire hazard! Want more about wood? We recommend taking a look at this fantastic house made of wood. Tell us another idea for decorating with wood in the comments section!